In partnership with Oldham Council, environmental charity Hubbub and the social enterprise IF Oldham, residents in Oldham are rolling up their sleeves and leading a unique new movement against fly-tipping. Mouldy old sofas, unwanted white goods and piles of rubbish which litter their alleyways are being replaced with plants, trees, benches and children’s play equipment in a bid to create valued spaces for local residents to enjoy and socialise. 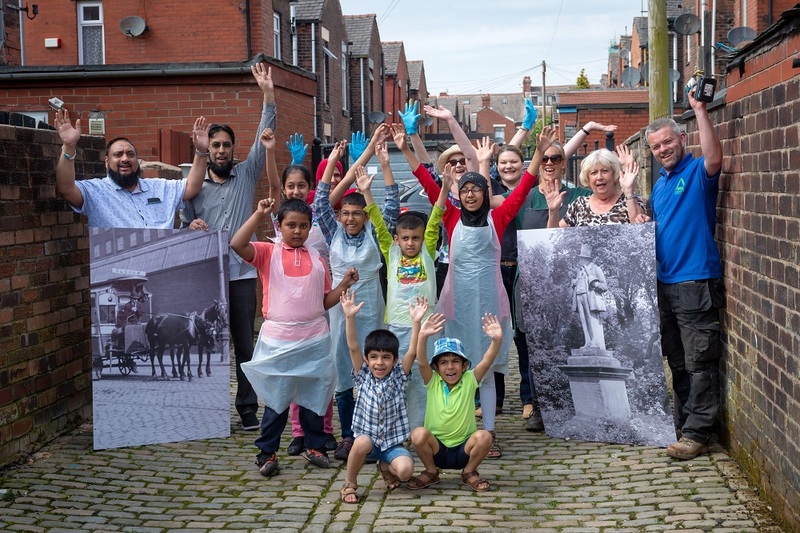 A pop-up exhibition launched today and is open throughout June in Oldham Town Centre, inspiring others in Oldham to join forces and take action. Oldham Council are adding further support by committing to create a fund, which will be available on application to individuals and community groups who would like to transform their alleyways. Fly-tipping is avoidable and is becoming an increasing problem across the UK. It cost over £57 million to clear up in 2016/2017 in England. The annual cost of dealing with fly-tipping in Oldham is over £1 million each year. “If residents want to make a stand against fly-tipping, reclaim their space and restore pride in their area, we’re really happy to support them with finance and guidance. We’re keen to see other communities replicating these amazing alley transformations and would urge interested parties to come forward. 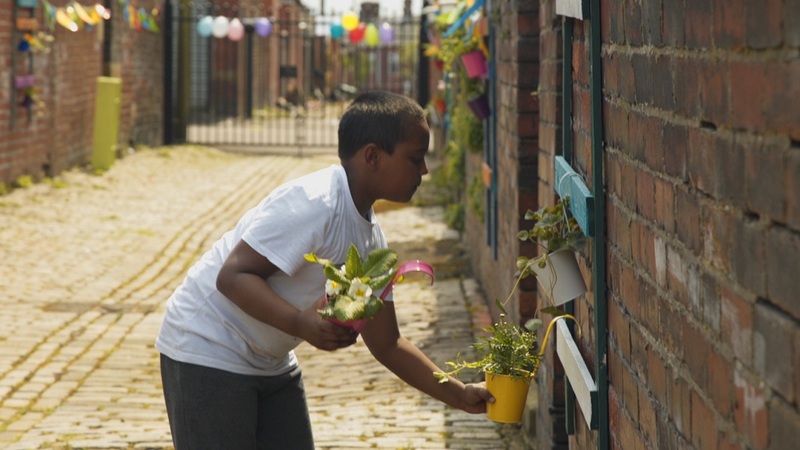 “Hubbub’s work in Oldham demonstrates that groups of enthusiastic residents can transform the alleys behind their homes from areas that are fly-tipped into safe green spaces for children to play. “The passion to transform the area behind our houses started because we love where we live. We have amazing neighbours and we were getting overwhelmed by the alleyway being a dumping ground for general rubbish, mattresses and even old kitchens. 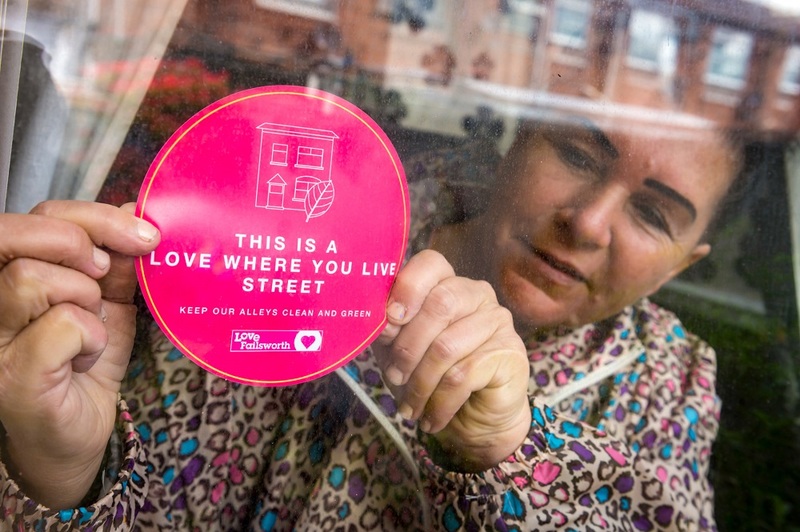 Oldham residents can apply to win the items exhibited in the Love Where You Live installation as well as additional support from Oldham Council to transform their alleyway by emailing ‘Alleyway application’ to [email protected]. Transform old things into something new. Search ‘upcycling’ then the name of your item online. Good quality unwanted items can be sold online on websites such as eBay and Gumtree. Take it to your local charity shop or British Heart Foundation do FREE collections from your home! Call 0161 770 6644, go to your local library, or visit Moorhey Street depot to book and pay for a collection from Bulky Bob’s.